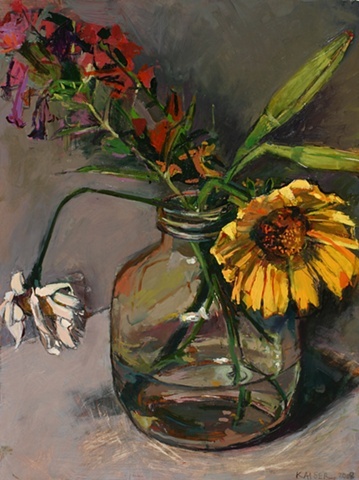 Dying flowers, glass jar, and refraction. Summer's residue. In the spirit of the Vanitas painters, this metaphorical painting communicates the transience of life.